Let application, budget and manufacturer input be your guide to narrowing down the best engine for your speed boat. All builders will walk you through the process of choosing engines for your new high-performance powerboat—that much you can count on when it comes time to pick power. That’s especially true if it’s your first go-fast catamaran or V-bottom. The final decision rests on a number of factors from what’s ideal for the boat to what ideal for your experience level and budget. Plus, there are power parameters for every aquatic hot rod produced. Even if you have unlimited resources, no responsible builder is going to let you order a 29-foot sport catamaran, for example, with a turbocharged 1,750 HP engine. So the really good news about choosing power for your new go-fast—or repowering a used model that’s new to you—is that you won’t have to wade through a sea of choices. Still, some thought is required in the process. But before you even start narrowing things down, you have to know what’s out there. 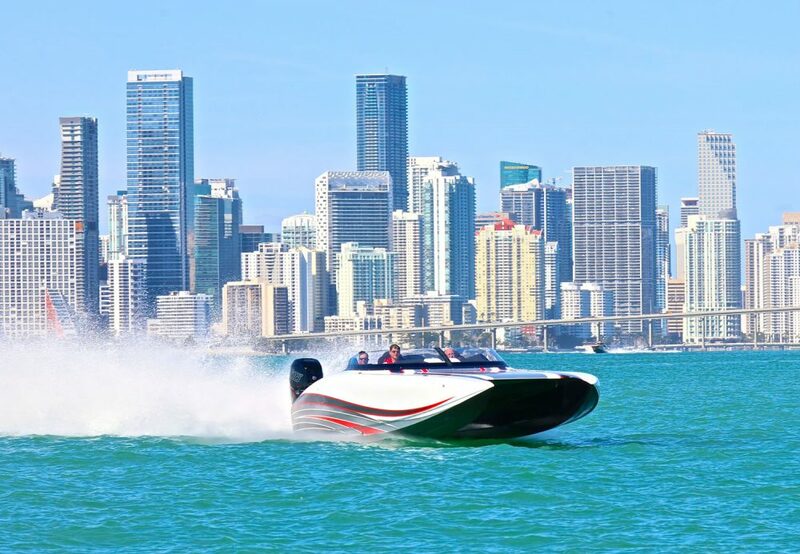 With Mercury Racing dual-calibration 1550/1350 engines in their 1,350-hp mode, this 43-foot Skater Powerboats catamaran reached 180 mph last month. Photos by Pete Boden/Shoot 2 Thrill Pix. Just for fun, let’s say you’re in the market for a sport catamaran, meaning something in the 28- to 36-foot range. 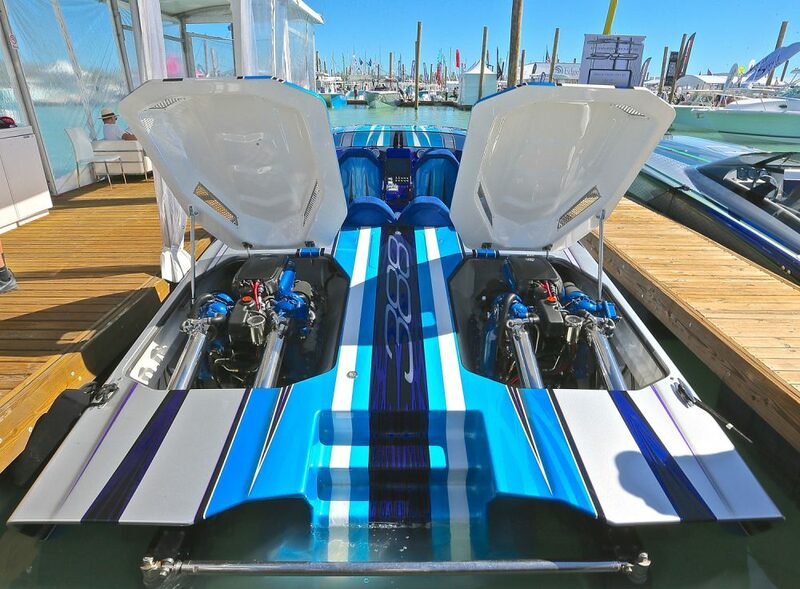 In this case, your best choice for power—twin Mercury Racing Verado 400R outboard engines—is pretty much made for you. And that stays the same whether you’re buying your new sport cat for DCB Performance Boats, MTI, Skater Powerboats, Wright Performance Powerboats and so on. Even though the Mercury Marine Verado 350 outboard has a better warranty, its standard lower section—the 400R comes standard with SportMaster gearcase—makes it a poor choice for a sport cat. As for the two-stroke direct-injection Mercury Racing 300XS, which was your best choice prior to the introduction of 400R, it is being phased out. 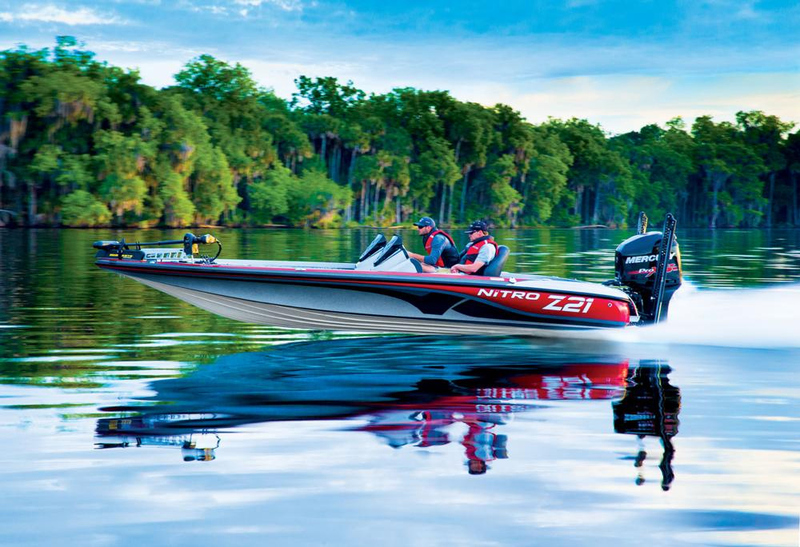 Conversely, while a lot of buyers of performance center consoles from 32 to 57 feet long are opting for Mercury Racing 400R outboards in anything from twin- to quad-engine applications, the Mercury Marine Verado 350 is a solid choice. And it also comes with a longer standard factory warranty. 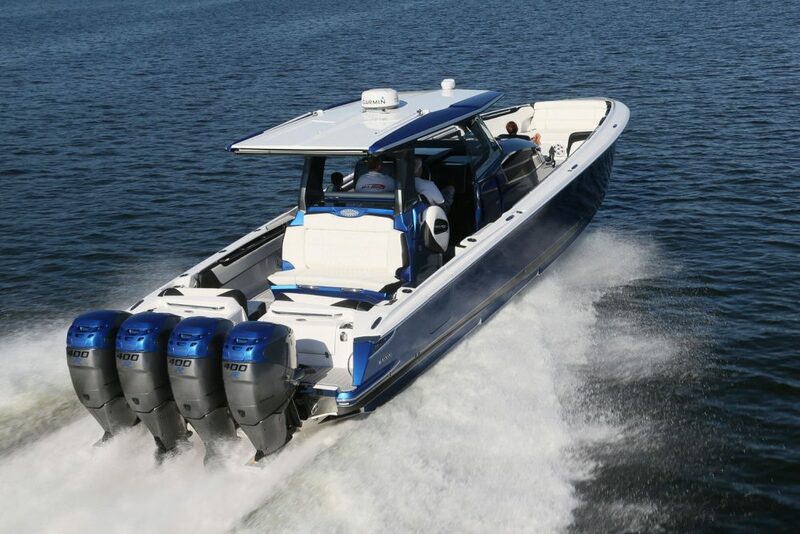 Quad Mercury Racing Verado 400R outboard engines were the right call for this Nor-Tech 450 Sport Center Console. Performance-oriented center console builders such as Deep Impact, MTI, Mystic Powerboats, Nor-Tech and more will walk you through this, but in the end the decision between Verado 350 and Verado 400R will be yours. 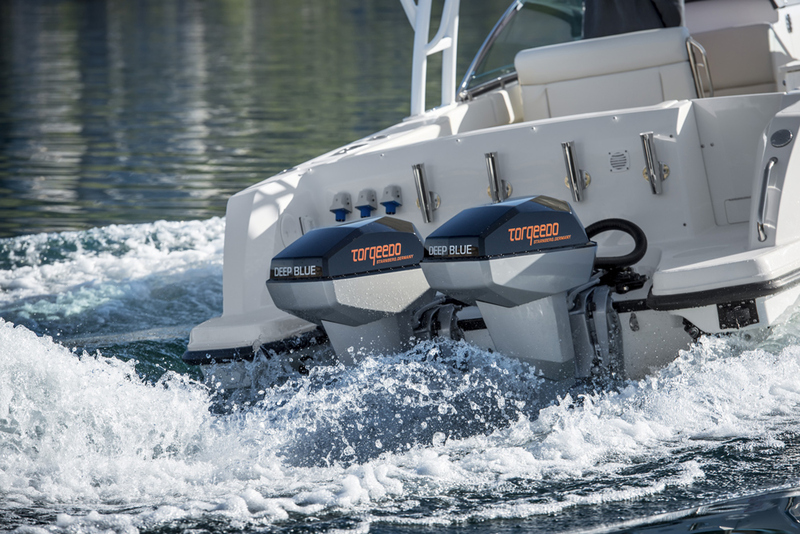 If getting every last mile per hour out of your center console matters to you, the 400 HP outboards will be your call. If economics matter to you more than top speed, the 350 HP mills likely will be your best as their initial purchase price and fuel-octane requirements are lower. Do performance boat builders offer their enter console models with inboard stern-drive power? Some do and some don’t—but none will recommend it. 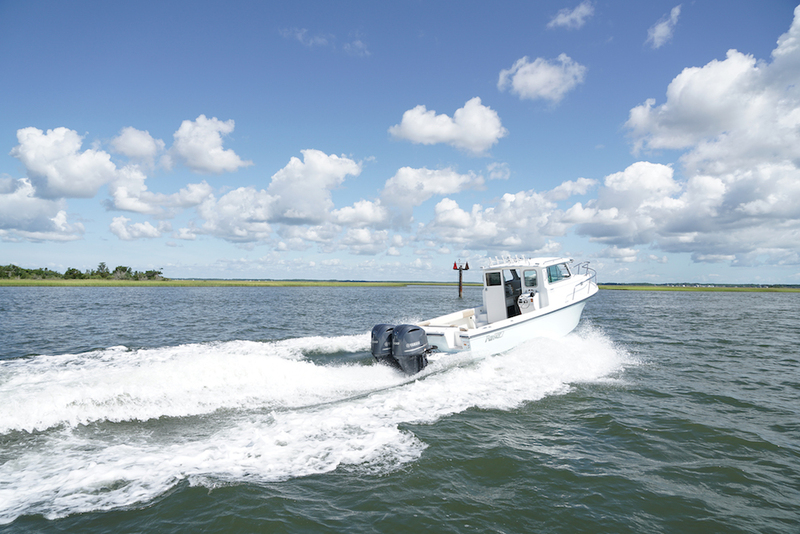 The reliability, efficiency, power output and lower purchase price and operating cost of the Verado 350 and 400R outboards make stern-drive power discussions moot. Overpowering a given go-fast catamaran or V-bottom is a dangerous mistake that could create a safety issues. Even if you’re a longtime customer and immensely skilled operator, any builder worth its salt will steer you away from a power decision that could get you into trouble. But under-powering your boat—and this can be a common error with first-time buyers looking to save money—also is a serious mistake. Owners of underpowered boats tend to run constantly at wide-open throttle, and that translates to engines and drives that constantly are over-taxed. You don’t have to be an expert mechanic to know that will lead to maintenance and reliability issues, to say nothing of the high fuel burn rate and associated cost. 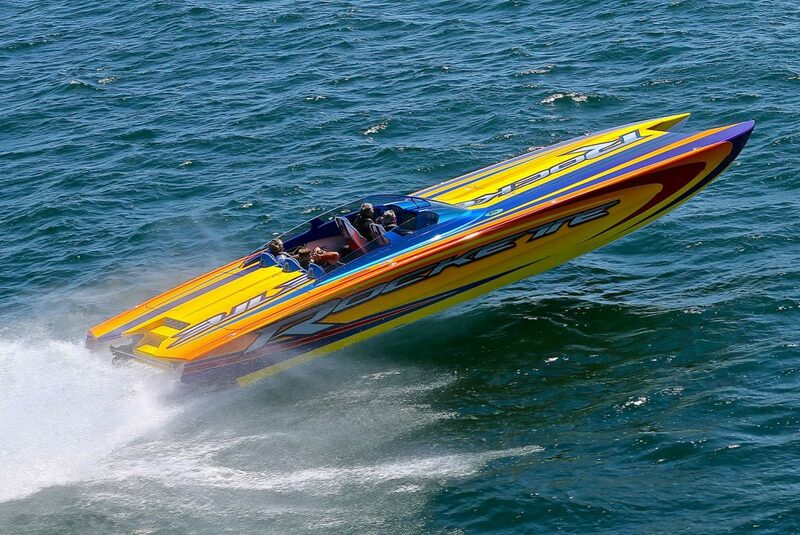 Like almost every sport catamaran built today, this Wright Performance Powerboats 360 was equipped with Mercury Racing Verado 400R outboards. Mercury Racing has a naturally aspirated 860-hp engine as well as turbocharged 1,100-, 1,350, 1,650 and 1,750 HP engines in its Quad Cam Four Valve (QC4v) series. The QC4v engine family also includes dual calibration 1350/1100 and 1550/1350 offerings. On its conventional push-rod engines line, the company offers 520- and 540 HP models. Here’s the thing: Your boat builder will rule in and rule out options for the model of boat you’re buying. A Skater 388 catamaran, for example, can handle twin Mercury Racing 1350 or 1100 engines, as well as the dual calibration 1350/1100. Experienced buyers with a dire need for speed probably will want to go with twin 1350s, which will power the 38-foot catamaran to more than 170 MPH. 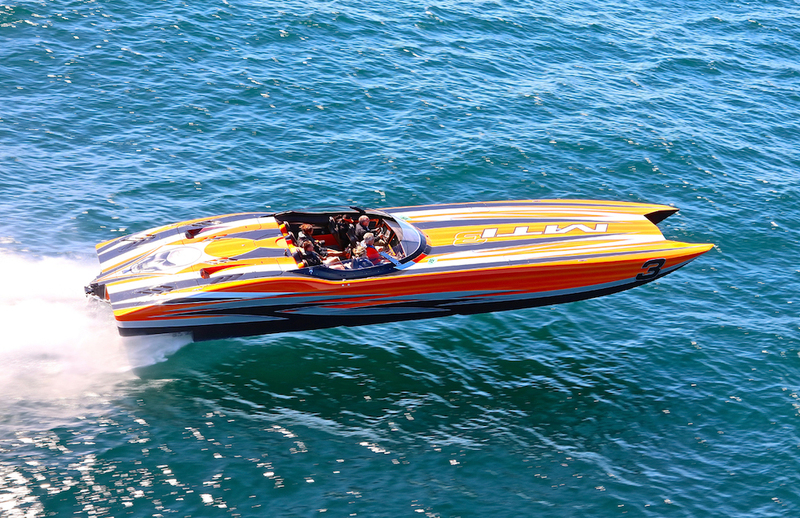 But with a pair of 1100s, the same boat will top out at a more-than-respectable 160 MPH and cruise easily at 130 to 140 MPH. Plus, the purchase price of the 1100s—and the cost to run them because of their lower-octane fuel requirements—will make them the more cost effective choice. Naturally aspirated engines, meaning neither supercharged nor turbocharged, tend to put less train on their own internal components. That makes Mercury Racing QC4v 860 an ideal choice buyers of 31- to 35-foot catamaran who, for whatever reason, simply don’t want outboards. To that end, DCB Performance Boats customers of late have been ordering the company’s M31 and M35 catamarans with Mercury Racing 860s and getting great results. Mercury Racing’s dual calibration engines, which are controlled by different key fobs and require different octane fuels depending on their power output mode, present intriguing options for buyers for the means to afford them. For example, the owner of Skater’s first 438 model catamaran ordered the boat with a pair Mercury Racing 1550/1350 engines. 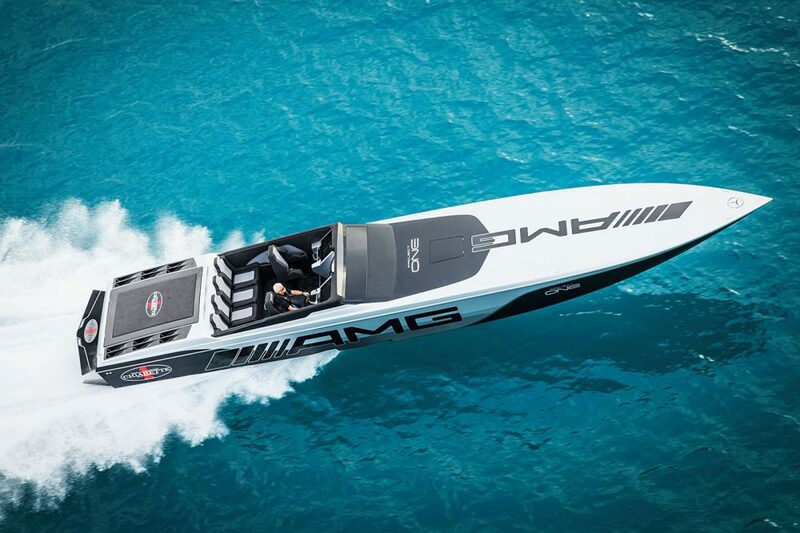 With the engines in the 1,350 HP output mode, the boat reached 180 MPH. If the owner wants more power—and based on the cat’s performance at the lower output level he may well never—it’s there. Mercury Racing 1100s were a perfect power choice for this new Skater 388 catamaran. On the flip slide, a pair of Mercury Racing 1100s in a Cigarette 50’ Marauder V-bottom would be a poor choice because the 14,200-pound (minus fuel) V-bottom would be miserably underpowered. 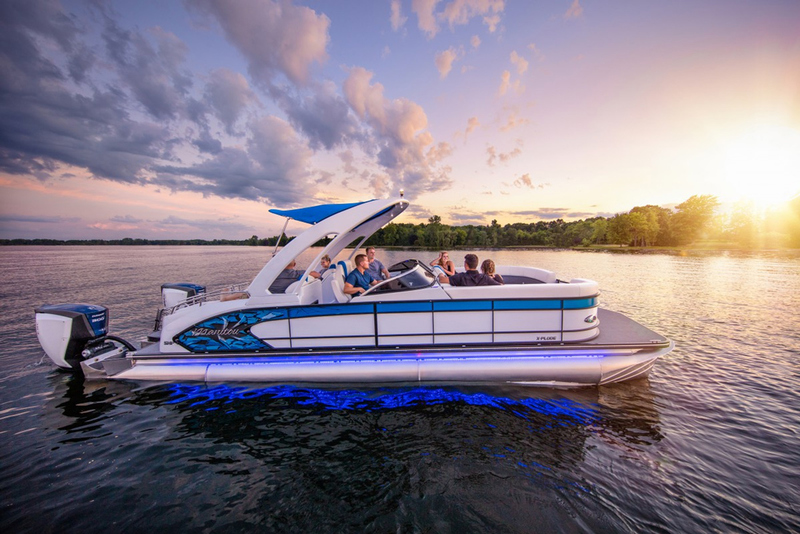 In addition to weight considerable less, the Skater 388 cat—to stick with the previous example—has an air entrapment hull, which makes the boat more efficient when it comes to producing speed. So with the 50-foot Cigarette, nothing less than Mercury Racing 1350 or 1550/1350 would be appropriate. The beauty of ordering a new performance boat is that you start with a clean sheet. But that doesn’t mean your power options are as unlimited as, let’s say, your paintjob and interior color choices. Every V-bottom sportboat and catamaran model has power parameters, and builders will present them to you. Of course, you’ll still have to make a choice. Asking questions until you feel ready to make a power decision. More than anything else, that will ensure you make the right choice.